Not long after the fatal loss of Eurocopter AS332L2 G-WNSB 1.5 nm west of Sumburgh Airport, Shetland Islands on 23 August 2013 with 4 fatalities (AAIB Special Bulletin), the UK Civil Aviation Authority (CAA) launched an rapid review on offshore helicopter safety. 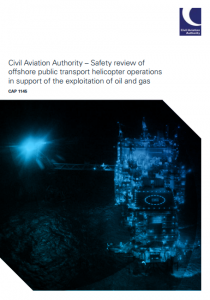 This CAA Review resulted in the CAP1145 report (‘Safety review of offshore public transport helicopter operations in support of the exploitation of oil and gas’), issued in 20 February 2014. Stopping flights over the most extreme sea conditions (Aerossurance has previously covered the European Aviation Safety Agency (EASA) actions to introduce Airworthiness Directives to make the certified ditching capability clear). Ensuring every passenger on an offshore helicopter flight is equipped with new improved Emergency Breathing System (EBS) ahead of schedule (Aerossurance has previously covered the industry imitative to introduce a Compressed Air – Emergency Breathing System, a technology the CAA had considered and rejected in the 1995 CAP641 Review of Helicopter Offshore Safety & Survival). 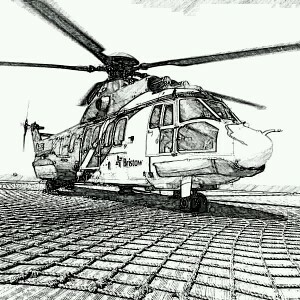 Standardisation of pilot training, particularly for the use of complex automated systems on helicopters and the associated operating procedures (Aerossurance has previously commented on the Joint Operators Review (JOR) review, the formation of HeliOffshore and on the issues of automation and monitoring). 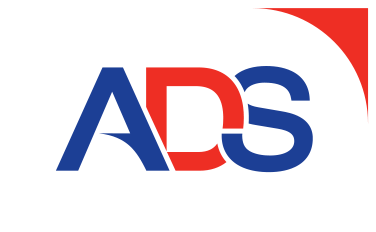 Establishing a new top level group to drive change, the Offshore Helicopter Safety Action Group (OHSAG) that includes unions, industry and the CAA (which Aerossurance has discussed too). Additionally the House of Commons Transport Committee have released a more detailed statement by EASA on some of the actions underway. 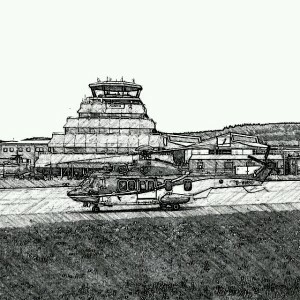 That committee called for a Public Inquiry in its Second Report of Session 2014–15 on Offshore Helicopter Safety (report HC 289), particularly into the effectiveness of the CAA, but its recommendation was dismissed by the Department for Transport (DfT). Aerossurance covered that report and the DfT response previously. Oddly, one reason for this rejection was that a large, industry funded, study had been conducted previously in Norway by the research institute SINTEF (Helicopter Safety Study 3, issued in 2010). The HSS-3 was the third Norwegian study published over two decades. HSS-1 covered 1966-1990 and HSS-2 1990-1998. Eurocopter AS332L2 G-WNSB on approach to Sumburgh in the Northern North Sea in 2013 (Controlled Flight Into Terrain / Water) with 4 fatalities (the AAIB report is awaited) It should be noted that there is approximately 50% more flying in the UK sector than Norway. In comparison, the UK has published two major reports prior to CAP1145: CAP491: Helicopter Airworthiness Review Panel Report published in 1984. The HARP report focused on airworthiness / design matters. CAP641: Review of Helicopter Offshore Safety & Survival published in 1995. The RHOSS report focused on survivability matters. As we have reported previously, the CAA have since admitted that CAP1145 was rather hurried and there was specific direction NOT to consult other stakeholders on the conclusions before publication. However, regular consultation is now happening through the OHSAG (the most recent of which occurred the day before the release of CAP1243). At that time we also noted that many in the industry regarded CAP1145′s ‘headline’ actions as overly focused on survivability matters. Most of the press coverage of the release of CAP1243 has relied on the CAA press release with, at most a few extra quotations. One exception has been David Learmount of Flight International: North Sea helicopter safety and the oil price. While the headline is about the falling price of oil, the most interesting comments relate to Norway and reporting culture. Coincidentally, Bristow Norway was been recognised in the same week as the top reporting operator in Norway by the Norwegian CAA. The EBS workgroup met in January for a six month review. Several adjustments have been made to the new EBS in accordance with feedback from the offshore workforce. The BOSIET is still under review, but the EBS should be incorporated into wet training by the 1st March. When you think of the bombshell that landed on our lap [CAP1145], what’s been achieved is a reflection of what can be done when you have got collaborative working. What we have failed to pick up on is the amount of work being done behind the scene to improve the aircraft behind the scenes. Behind the scenes the improvements continue to the HUMS (Health And Usage Monitoring Systems), pilot training, system improvements, there are improvements in flight system. But it has been a busy year for all parties and quite significant changes and improvements in what feels a very, very short space of time. I think there’s a degree of increased confidence but there’s still- for various reasons – a degree of nervousness. There’s new aircraft on the way and with that improvement, increased confidence. We have moved on from what was a pretty dark spell between 2009 and 2012. So I think they can draw confidence from what is going on behind the scenes. UPDATE 23 March 2016: EASA published NPA 2016-01 Helicopter ditching and water impact occupant survivability on a 3 month public consultation period. Previous studies on and accident investigations into helicopter ditchings and water impact events have highlighted inadequacies in the existing certification specifications (CS-27, CS-29) and in the rules governing offshore operations. In particular, it has been established that in an otherwise survivable water impact, most fatalities occurred as a result of drowning because the occupants were unable either to rapidly escape from a capsized and flooded cabin, or to survive in the sea for sufficient time until rescue. Furthermore, the testing environment in which helicopters are type-certified for ditching bears little resemblance to the sea conditions experienced in operation. In order to thoroughly address these and other ditching-related issues, and due to the nature of ditching-related hazards, this rulemaking task (RMT.0120 (27&29.008)) has taken a holistic approach to the problem, which crosses traditional airworthiness/operational boundaries. A detailed risk assessment has been undertaken that reflects both certification and operational experience and builds upon data extracted from accident reports and previous studies. The specific objective of this NPA, however, is to propose changes to CS-27 and CS-29… Retroactive rules are to be considered in a second phase of this RMT. …the primary change proposed aims to establish a new ditching certification methodology by which a target probability of capsize following a ditching can be determined based on the level of capsize mitigation applied to the design. UPDATE 24 September 2016: The UKCAA has issued CAP1386, their second update on CAP1145. We have summarised that report. 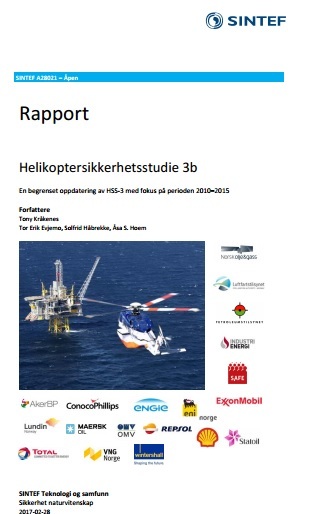 UPDATE 6 March 2017: HSS3b is issued (initially in Norwegian, with an English Exec Summary). It features comment on CAP 1145 and survivability matters.